There is an argument, albeit a very biased and pop oriented one, that Radiohead has been the most important band of the last 20 years. Whether it be the isolationist dissonance of Kid A or questioning societies myopic leanings in Hail to the Thief, Radiohead as actively pursued the truth through music. By exploring sonic soundscapes within a pop canopy, Radiohead is actively bringing under-appreciated musical influences to the masses, the most important of these genres being jazz. I remember the first time I heard Pyramid Song and how affected I was by the spacing of the notes within the main movement. And who can forget the Drums coming in a second shy of 2 mins. Amazing. Jazz Musicians have been playing Radiohead songs for years, actively reworking and assimilating them into other compositions. 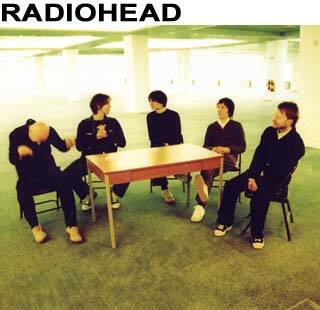 So here are our top 3 RadioHead Covers. Any other good Radiohead covers you know of? This entry was posted in albums, art, jazz, Live, sans jazz, song, TDJazz, Video and tagged atomic, covers, glasper, jazz, kid a, live, music, radiohead, video. Bookmark the permalink. Awesome stuff thanks for the heads up !